Banff is the perfect place to get around by bike. Cyclists can take advantage of the Bison Courtyard’s bike washing station – perfect for those muddy days. The landscaping on each of the Bison Courtyard’s three levels was created to mirror the three zones of vegetation in the mountains that surround us. On the first level you’ll find plants from the montane zone: the valley floors and lower mountain slopes. Look out for purple asters, hairy arnica and Jacob’s ladder. There are also aspen trees and the bristly blackcurrant shrub. Up on the second floor you’ll find the subalpine zone represented, which is above the montane but below the tree line. This snowy area is where larches and wild strawberries thrive: they’re joined in the courtyard by red osier dogwoods. On the third floor we celebrate the alpine zone, the high mountains above the tree line, which are often exposed to extreme weather. Spruce, limber pine, moss campion and saxifrage make their home here despite the harsh conditions. These hardy plants are survivors – sometimes they appear to be dead, only to spring back to life the following year. The limestone and rundle rocks that complete our gardens are locally sourced from a small quarry between Banff and Canmore. You might even spot a fossil preserved in the stone. 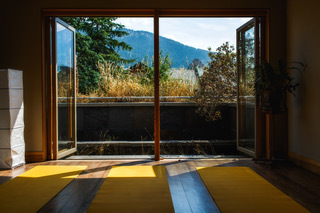 The Meditation Room is located on the third floor of the Bison Courtyard. 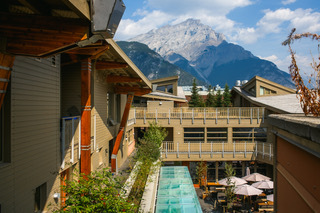 It’s a peaceful spot above the hustle and bustle of Banff, with floor to ceiling patio doors offering a stunning view of Mount Rundle. The Meditation Room is open to anyone for meditation, contemplation, or spiritual practices from all faiths. We are pleased to welcome many local and visiting Muslims for Friday prayers, however please note that only the space is provided; there is no led worship. The Meditation Room is available for use by the public on a first come, first served basis, Monday-Friday between 9am and 4.30pm. Please note that the maximum group size is ten. There is a small washroom onsite. The Sleeping Buffalo Fireplace and Oven is available for use at community events and small gatherings year-round. 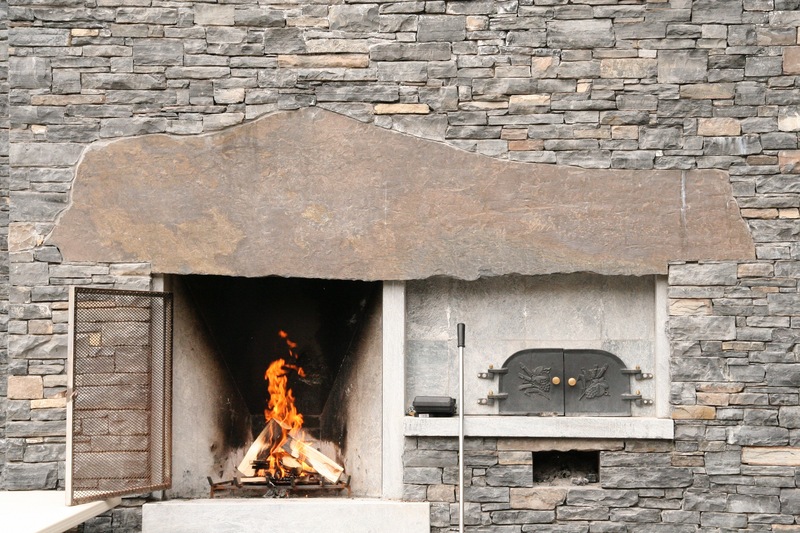 If you’ve ever wanted to bake bread, pizzas or anything else in a wood-burning outdoor oven, this is your opportunity. We can provide you with full instructions on the proper use of the oven and most of the equipment you will need. Please note that the fireplace and oven must be attended at all times while lit and users must assume responsibility for its safe operation.